Satellite AIS has once again proved its worth in helping organizations identify suspect fishing vessels operating outside of their jurisdictions. The latest vessel to land on the illegal, unreported and unregulated (IUU) list is the Pacific Andes’ flagship factory trawler Damanzaiha which was identified and listed by the South Pacific Regional Fisheries Management Organization’s (SPRFMO) technical and compliance committee. Also on the list is the Avrora, a Russian-flagged trawler. Both vessels could face fines imposed by the flag state and/or not be granted an authorization to fish. 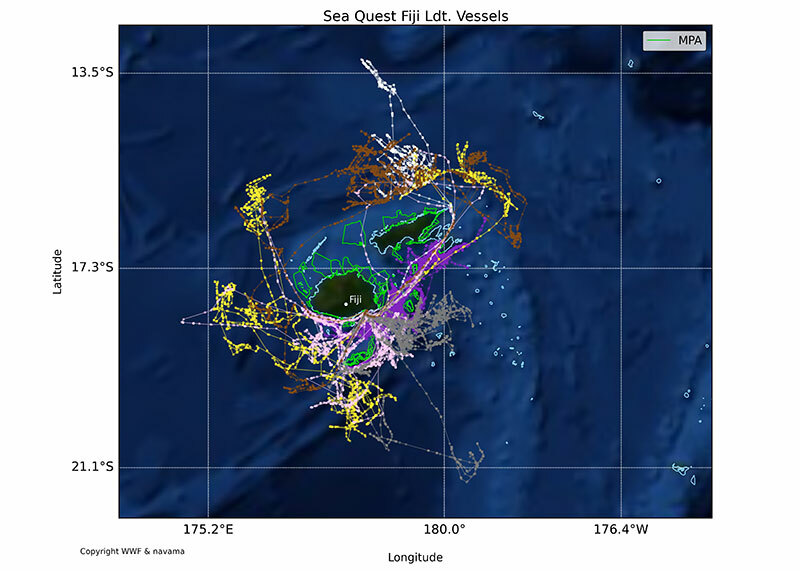 Satellite AIS data was a key piece of information used to identify the location of the vessels at specific times. 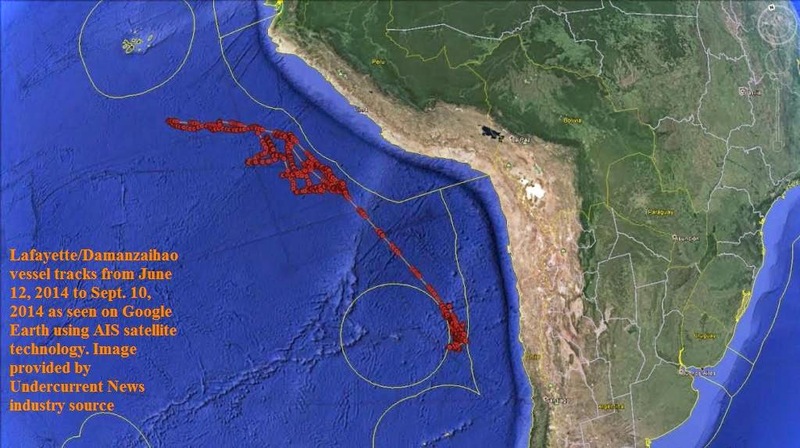 Data obtained by Undercurrent News and Marine Traffic showed the Damanzaihao was active in the area regulated by the SPRFMO in the summer of 2014, even though its flag state Peru had not reported it as an authorized vessel to the management organization. According to the article, the vessel was most likely transshipping for jack mackerel for several weeks. Leveraging technology to identify illegal fishing remains a key priority for many organizations. The World Wildlife Foundation in partnership with its data analytics partner Navama, have developed TransparentSea.org, a web-based AIS fishery track platform that allows experts to analyze trends in IUU fishing as well as allow responsible operators to register their fleets. Using data from various sources including Satellite AIS and Vessel Monitoring Systems (VMS), the system is able to extract and cross-check information on tens of thousands of fishing boats operating globally. The depth of information available with this monitoring system has caught the attention of many organizations, including food companies who are increasingly pressured to demonstrate the integrity of their supply chain. The European Union has also been a supportive backer of TransparentSea.org in certifying legally caught catch and reporting fish products being sold within European borders. Moving ahead, as technology improves and plays a greater role in monitoring illegal fishing, you might see more vessels complying with regulations so they do not end up on IUU lists.